Located in sought after St. Matthews. Easily accessible to interstate, dining, shopping and quick walk to lovely Warwick Park. As you enter, you will notice the large living room with the coat closet. 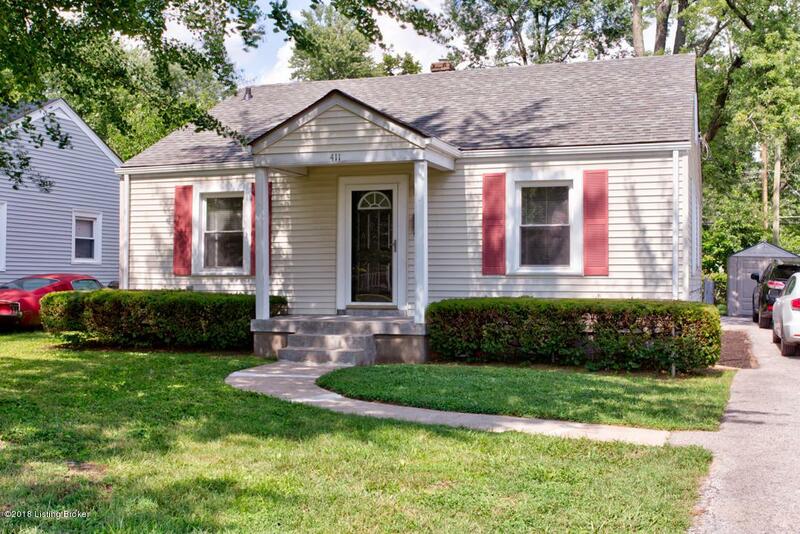 This 2 bedroom, one bath home has been recently updated. Updates include fresh paint (neutral color) thru out, new carpet in bedrooms, new hardware on doors, new ceiling fans in bedrooms, new flooring in living room, hallway and kitchen. Kitchen cabinets have been painted with new pulls. White appliances include refrigerator, gas stove, and new dishwasher. There is also an original piece of cabinetry which can serve as an island and has additional storage.The bathroom has new vanity, toilet, lighting and original tub that has been re-glazed. The laundry located off the kitchen, has a door to accessing the large backyard. A narrow staircase, off the laundry room, takes you to the upper level. This space has been freshly painted and serves as a perfect storage area for additional belongings. HVAC replaced in 2015, Roof 2018, Hot Water heater 2015 and windows have been replaced. The outside of this home is maintenance free. The landscaping is in excellent shape and very attractive.